Growing herbs, and then putting them to use, is one of my favorite activities. A large portion of our garden space is dedicated to herbs, which we later use for cooking, medicines, and beauty and hygiene products. Since we grow so much, I will normally have an excess. Rather than let the extra herbs I grow go to waste, I like to give them to people as gifts. I have created a paper gift bag that I use to put my dried herbs in. 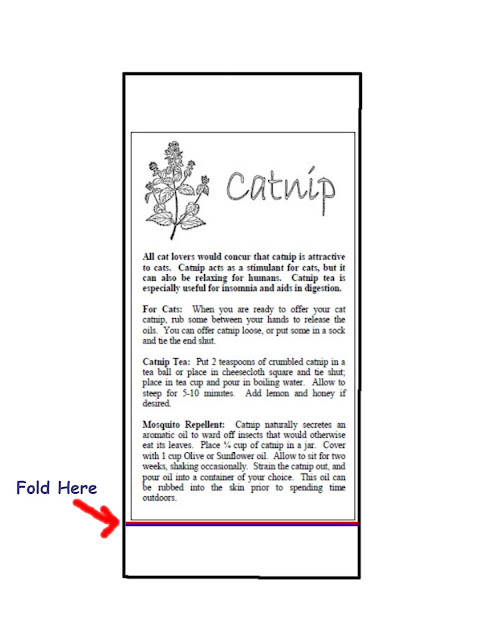 I designed it in Microsoft Word, and each bag prints on plain letter size paper, in landscape orientation. The bags are labeled with the herb inside, along with some information about the herbs, including its uses and some recipes. Print off the bag, and then fold it in thirds. The front will be the side with the herb information. 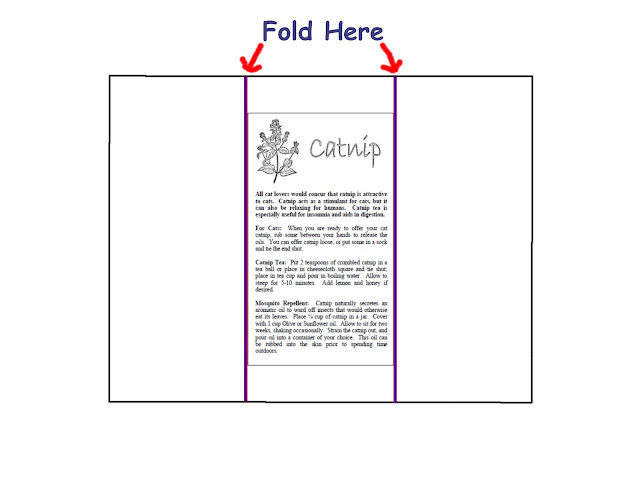 Then fold back the flap on the bottom, and glue it in place. Allow the glue to dry. 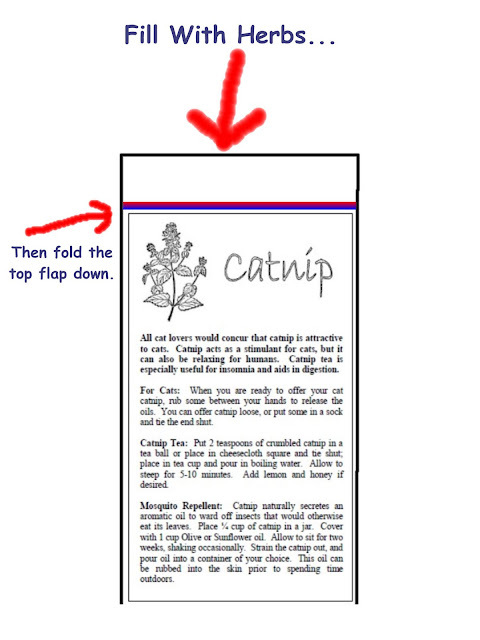 Then, fill the bag with the herbs, fold back the top flap, and glue it shut. This is a very quick, and simple gift. I like to include it in gift baskets of homemade goodies and sundries. 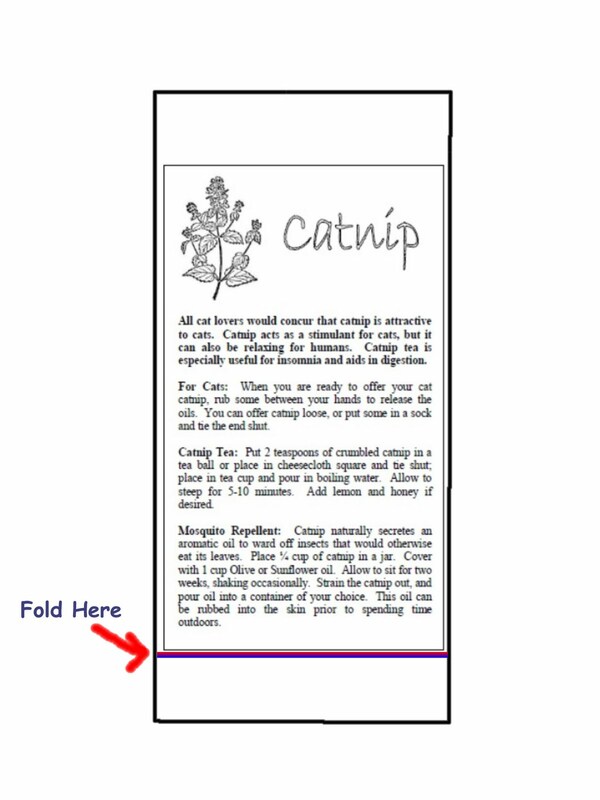 Click here for a printable version of some of the gift bags I have made, including bags for lemon balm, catnip, coriander, California poppy, and chamomile.